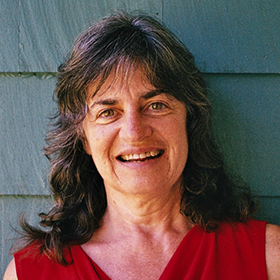 Joann is an experienced, certified Integral Yoga® teacher and a certified Yoga and Ayurvedic Yoga therapist. She is also a licensed independent clinical social worker. For the past six years, Joann has traveled internationally to universities, conferences, hospitals, ashrams, and Yoga centers to train Yoga and mental health professionals on bringing nervous-system informed, trauma-sensitive Yoga into their work. Her CEU course, “Bringing Yoga into Social Work Practice,” was published by the National Association of Social Workers–MA Chapter in 2014, and is available for purchase. Joann is a trainer for PESI Inc., a national organization which presents continuing education programs for mental health professionals, and she is currently completing a book, Trauma Healing in the Yoga Zone, to be published by Handspring Press in 2018. She has practiced Integral Yoga for more than 40 years and has been teaching for 35. Her students include the general population, combat veterans, individuals with eating disorders, those recovering from major mental disorders, and victims of crime.